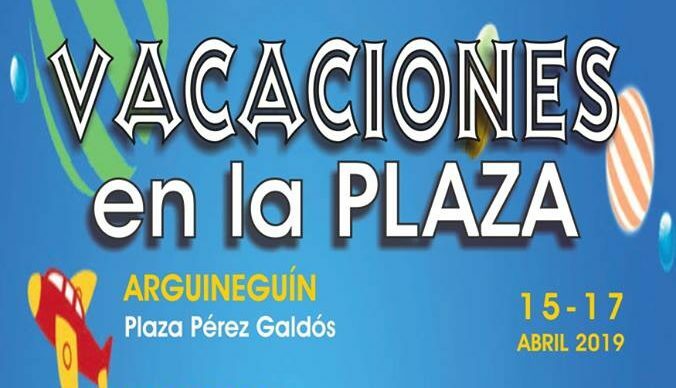 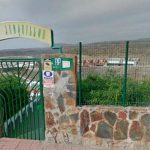 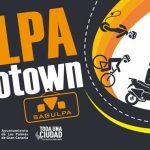 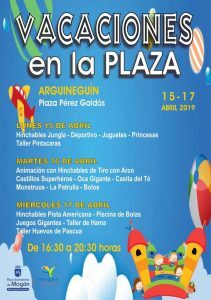 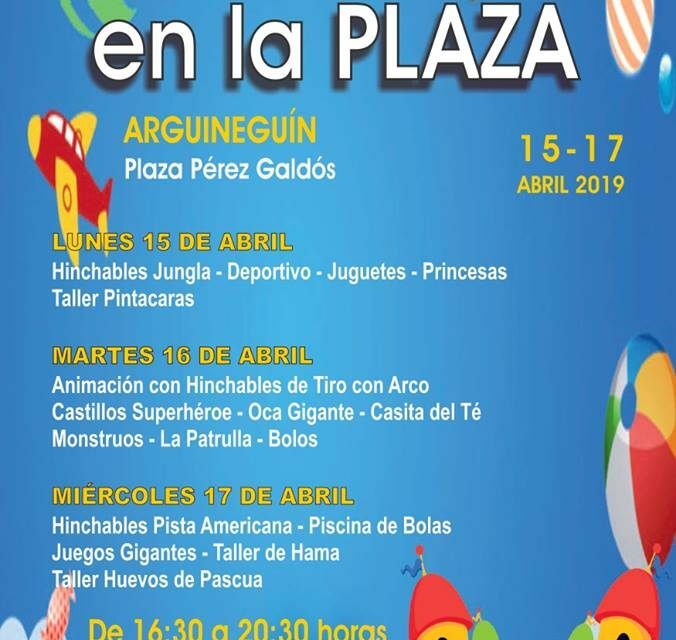 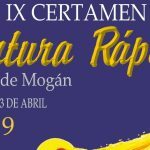 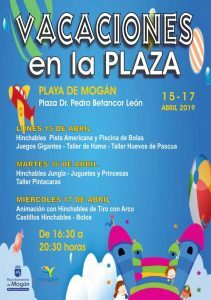 The Municipality of Mogán is this week offering a childrens program of free leisure activities “Vacaciones en la Plaza” from April 15 to 17, taking advantage of the school Easter holidays. 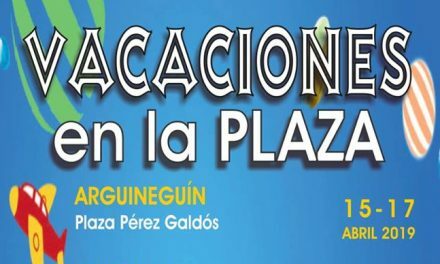 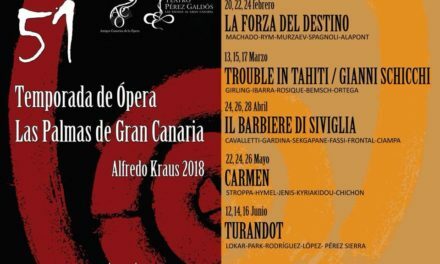 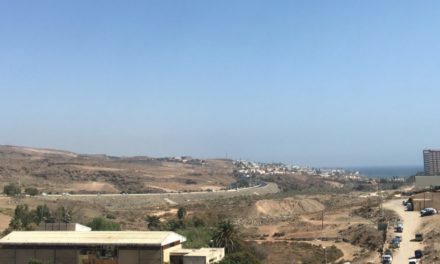 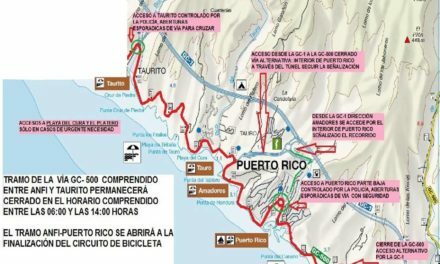 The events will be concentrated in Pueblo de Mogán, Playa de Mogán and Arguineguín. 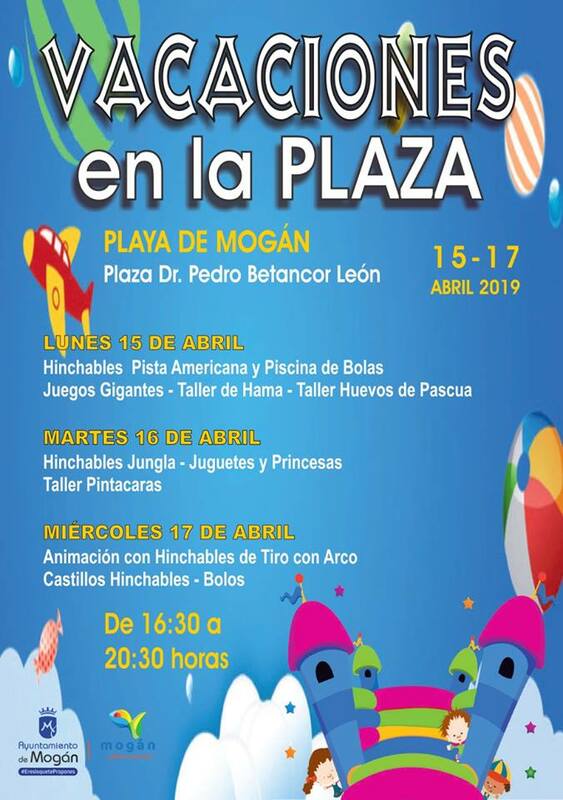 These include jungle inflatables, sports games such as football, famous animation characters and princesses. 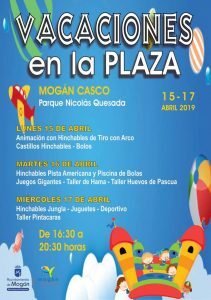 There will also be inflatable archery, pista americana (a track course), superhero castles and a ball pool. 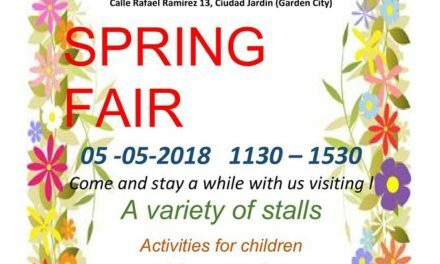 Attendees will enjoy musical entertainment and games such as Goose or Giant Bowls and The Tea House – for babies up to three years old. 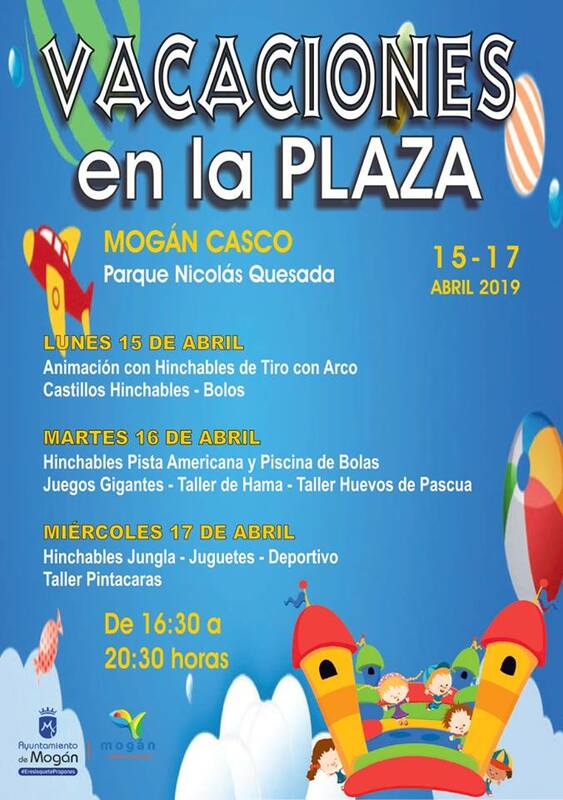 Throughout the three days there will be workshops for face painting, hama and Easter eggs. 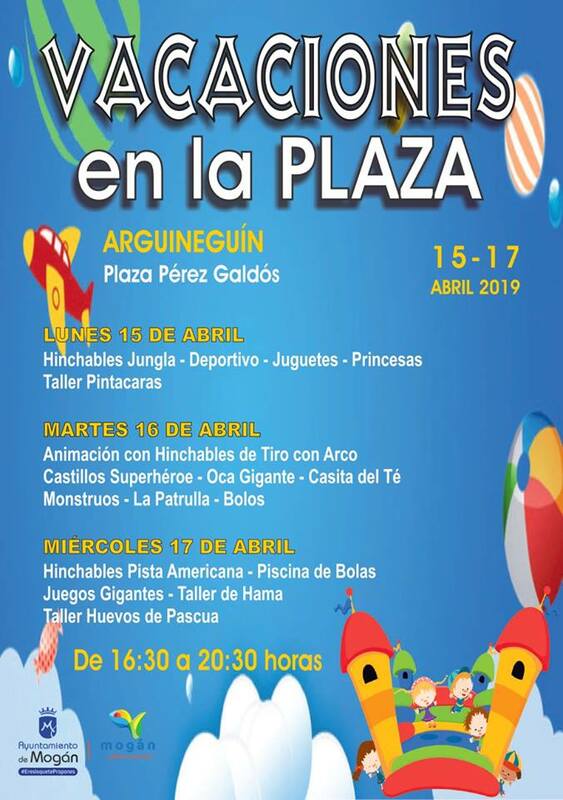 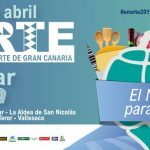 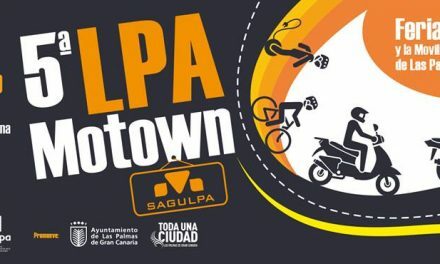 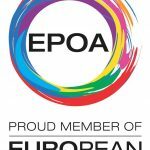 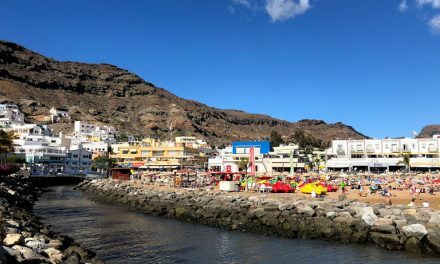 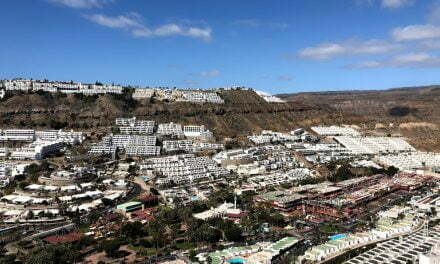 All the activities will rotate by day according to the location, thus each being held in all the points of the municipality as part of this program called ‘Holidays in the Plaza‘.